Tom shows you how to mount a snake carving a custom body. The dvd covers from skinning through finishing. 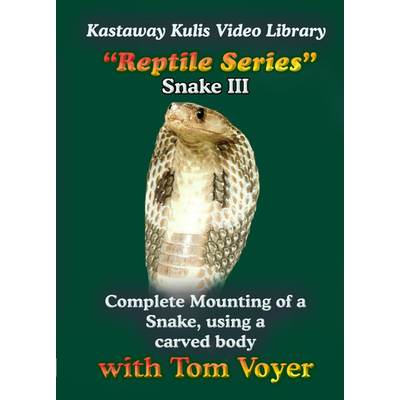 A great addition to your reptile library.